Ben’s Bus sells low cost Shared Transfers from Geneva Airport, Grenoble Airport & Lyon Airport to many French ski resorts. We’ve been operating our low cost Grenoble Airport ski transfers since 2006, Geneva Airport ski transfers since 2009 and our Lyon Airport ski transfers since 2014. Our airport shuttle buses can transport you to your favourite ski resort on a sensible budget. 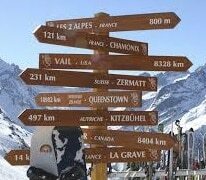 The routes in our network include buses to Tignes, Val d’Isere, Val Thorens, St Foy, Les Menuires, St Martin de Belleville, Les Arcs, Meribel, Mottaret, La Plagne, Alpe d’Huez, Les Deux Alpes, Serre Chevalier and Chamrousse. We transport passengers in large coaches to keep our prices low, but we still provide great customer service. Our cheapest transfer costs just £29pp. However, with our group discounts, you could pay just £25.38 for an Adult Single. If you travel with us, you’ll also be keeping your carbon footprint to a minimum. Ben’s Bus is a UK based company and was started by Ben, a keen skier and snowboarder. He saw the need for a quality, but cheap, ski transfer service. We were the first company to partner with French coach companies in offering shared transfers with English speaking reps to help your journey up the mountain go smoothly. Booking with us means your holiday won’t include the stress of public transport, the expense of private transfers and and the hassle of putting snow chains on hire cars. Every year Ben’s Bus has grown both in the number of resorts we service and the regularity of our buses. The only thing that has not kept up with our growth is our prices. Our Geneva, Grenoble & Lyon Airport Shared Ski Transfers remain the most competitive on the market. Despite our cheap prices, we have never compromised on service. Ben’s Bus have representatives at Grenoble Airport, Geneva Airport and Lyon Airport to greet you when you arrive. It’s important to us that your ski holiday starts well. Our reps will guide you to your vehicle, liaise with our French drivers, who know the mountain roads better than anyone, and ensure you get on and off our bus at the right place. To find out more information about the journey you are interested in, please select your resort or airport from the top menu or click on a link below. If you are looking for a private transfer, please visit our friends at Actibus.